Was Merrill 'Chase-d' Into Its BofA Marriage? Some creditors of Lehman Brothers believe moves by JP Morgan Chase to demand billions of dollars in collateral pushed Lehman into bankruptcy. Did the same thing happen at Merrill Lynch, forcing the firm into a shotgun wedding with Bank of America? Some senior executives at Merrill think so and they point to Chase's actions during the week of Sept. 8 — the five days before Lehman was forced into bankruptcy and Merrill forced into the hands of Bank of America — as the critical point. CNBC has learned that Chase demanded billions of dollars in collateral from Lehman that week on behalf of clients involved in repo trades because Chase feared for the Lehman’s financial health. Chase also began getting skittish about Merrill’s prospects and began demanding billions of dollars in collateral from Merrill as well, sources told CNBC. That call on Merrill’s cash began with an informal request for collateral over and above what Merrill had already paid Chase on Sept. 8. 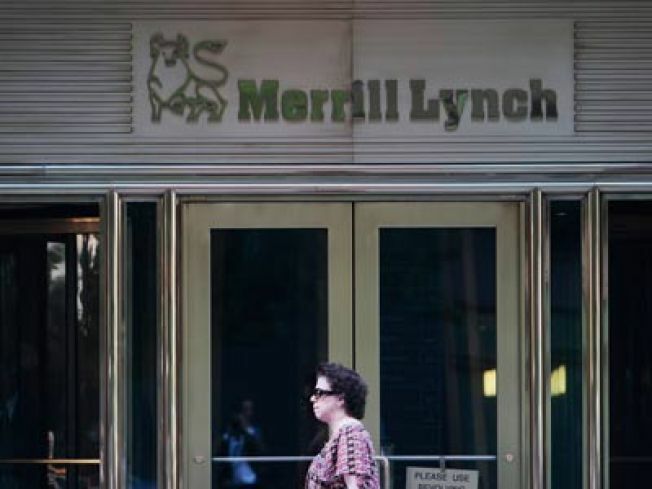 That week, as Lehman (OTC: lehmq) began imploding, Merrill too began to teeter, with its stock price tanking and general worries about whether it could survive the credit crunch. On Friday Sept. 12, Chase (NYSE: jpm) officially alerted Merrill it wanted an additional $5 billion in collateral. Merrill (NYSE: mer) did not come up with the collateral. Around that time, Merrill began negotiating with Bank of America (NYSE: bac). That Saturday Merrill’s chief of strategy, Peter Kraus, told Chase that Merrill wasn’t going to deliver the collateral — but not because of liquidity issues. Merrill was objecting to the principle of asking for additional collateral. By Sunday night September 14, Bank of America purchased Merrill. Beyond the question of whether a collateral call led to Merrill’s sale; CNBC has learned that Chase still wants the collateral and is weighing suing Merrill to get it. A Chase spokeswoman had no comment; a Merrill spokeswoman had no comment.